Way of the Samurai 3 is the third title in a series of very Japanese open world adventure games developed by Acquire, and currently being updated and rereleased on Steam by Ghostlight. 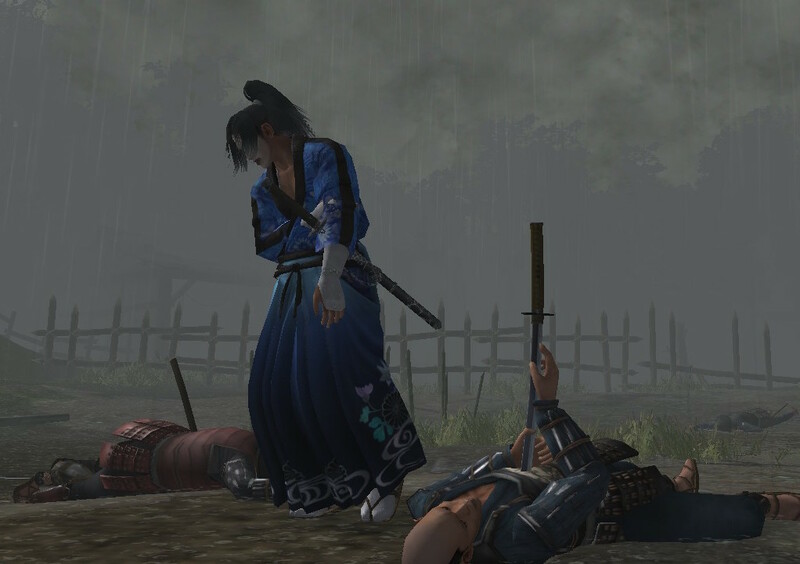 Originally a game on PS3, Way of the Samurai plays like no other open world game with its distinctive focus on consequences for every action and the requirement that you earn your respect with in-game characters to achieve better endings. The third entry departs from the Meiji or Bakamatsu era settings of the rest of the series and takes place in Sengoku Jidai (or the one with Oda Nobunaga, Samurai Warriors fans) instead, aiming for a more historical, pastoral setting. Tonally, it's all over the place with serious political discussion interspersed with gentle situation humour, but it also has its moments of absurdity. If any of this sounds interesting, you really owe it to yourself to check out what Acquire does with its grand ideas. 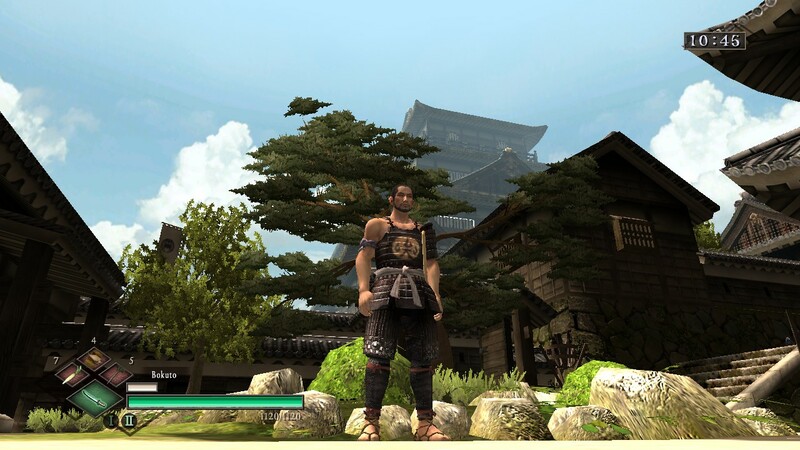 Way of the Samurai 3 is set in the Amano region, currently ruled by the Fujimori clan after a victorious yet bloody battle against the Sakurai clan. The Fujimori clan have not been the best of occupants and have heavily taxed the local farmers to fund their military efforts, and the Ouka clan - a ragtag bunch of local thugs and survivors from the Sakurai clan are rising up to overthrow the Fujimori. You start the game as a samurai of your own design - bruised but very much alive on the battlefield, rising above bodies of Fujimori and Sakurai warriors, where you are found by two peasants who take you to the local Taketane Village to nurse your wounds. It's never actually clarified whether you fought for the Fujimori or Sakurai. That much is up to you to decide, and in fact you can pick whether you want to side with the Fujimori or the Ouka over the course of your playthrough. You can do whatever you want, really - you're a samurai, you have a sword, and with that you have a tremendous amount of power and awe in Sengoku era Japan. In fact if you really want to, you can even draw your blade on the two peasants who try to save your life! Who's going to stop you? The game sure isn't, that's for sure. Acquire heavily discourages playing the monster in this game though - for all its swordplay, Way of the Samurai may be the open world game with the least context-less violence I've ever seen. In Grand Theft Auto, you can commit any crime you want and it'll be forgotten as soon as the police stop chasing you. In Way of the Samurai, even having your weapon out in public can lose you the trust of the entire village. Killing anybody has consequences, and you'll be locked out of most of the endings if you accidentally kill someone important. That's not as bad as it might seem though - life, death and resetting your game comes cheap in Way of the Samurai. To get from the beginning to an ending will take you around eight hours, but don't let the short runtime fool you because there are 28 possible endings to achieve. Because of how wide the possibilities are, you can achieve a few endings and still be seeing new content. The story can be quite involved at times and you might even start developing emotional attachments to some of the characters. This is helped along by the small size of the world, consisting of eight small districts. Each is beautifully rendered and is designed with a sense of elevation, as if they were all real world locations. The graphics are passable for a PS3 title - good at a distance and not great close up. There are some fantastic compositions in the soundtrack though. Imagine walking down a mountain as the sun sets when traditional instruments usher in a gentle melody - it's a beautiful moment which connects you to the game's world and atmosphere. 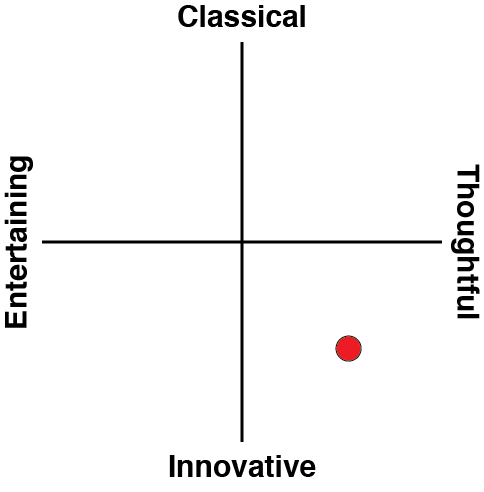 There's not a lot of physical exploring in Way of the Samurai, but there is a whole lot of social exploration. You can talk to pretty much anyone you see and you can get a range of responses, and your trust with each person will affect how the game proceeds as a whole. In this regard Way of the Samurai is more Harvest Moon than it is Grand Theft Auto - you've still got a sandbox, but it's a size that lets you get cosy with its characters. If you're not the cosy type though, Way of the Samurai has you covered - the combat system is robust, engaging and cinematic, mixing realistic samurai swordplay with the mechanics of a 3D fighter. It might not have the complexity of Samurai Shodown but Way of the Samurai's light and heavy attacks, blocks and a strategic push/pull system are all reminiscent of the fighting genre. There are a variety of different sword styles depending on which weapon you equip, as well as special techniques which are learned through repeated practice of each style. Unfortunately while the depth is there, it's possible to win most engagements just with effective blocking and attacking, and fights are made even easier through the Instant Kill mechanic where tapping a button after a perfectly timed block will end the fight immediately. It can be quite confusing at times whether Way of the Samurai 3 glorifies or discourages violence. Whenever cutscenes play, there is a button in the corner which lets you draw your sword immediately to fight the people talking to you. After picking up a new weapon you might have a bit of glee in testing its edge out on someone, but drawing your weapon in public has serious consequences. The villagers are already distrustful of samurai, half out of fear and half out of disdain at the taxes levied against them. You can even be discriminated against in this game for being a samurai - a child will tell you her mother has forbidden her from talking to samurai! Never has historical accuracy been so emotionally conflicting. For the pacifists out there, you can actually hit the BACK button to flip your sword to the blunt side - this way whenever you deplete an enemy's health bar you knock them out instead of killing them. You can also perform tasks for the villagers to gain their trust, although most of these can be a bit mundane. This is where the surrealism takes its toll too - one sidequest has you ringing a bell, where performing well will have villagers gathering around you as if you're some kind of celebrity. Another has you cutting cabbages for a housewife, except she's throwing them at you and you need to time your sword swings! You'll also need to dodge ceramic vases that she hurls at you, perhaps because she thinks they're also a vegetable. It's weird and tonally out of sorts with the political undertones of the game, but that has always been the Way of the Samurai series' thing. 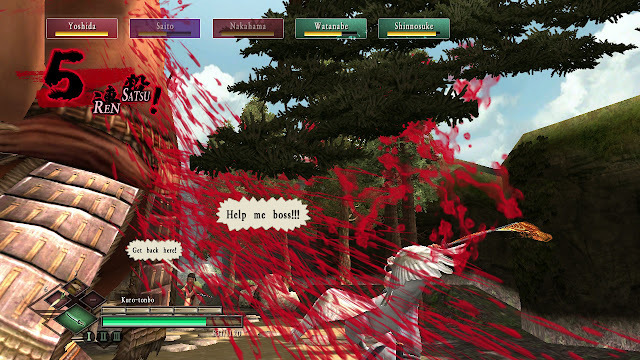 For the most part, Way of the Samurai 3 is all about the authentic Sengoku Jidai experience. You get to decide where your loyalties lie, slash highwayman scum to pieces, fight for your honour and get discriminated against by some distrustful villagers. You'll also wear ridiculous clothing, perform odd jobs through even more odd rhythm based minigames and wield leeks as swords. 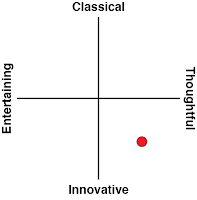 This is not a perfect game and its ideas are all over the place. It's rough around the edges, the overworld is tiny and it's over all too soon. I can in full confidence say though, that I've never played a more interesting open world title.